Myers Communications Group | You have a story to tell. We can help you tell it. University Avenue means different things to different people. It’s always been eclectic, unruly, noisy, gritty. And the street has seen its fortunes rise and fall over the decades. During the first half of the 20th century, it was a thriving commercial corridor, defined by places like the Minnesota Transfer Railway, Montgomery Ward, Brown & Bigelow, Lexington Ballpark, Prom Ballroom, and the popular streetcar. The 70s and 80s were not as kind to University, as new freeways and suburban development ushered in a period of slow decline. More recently, thousands of immigrants began living out their hopes and dreams, and the Green Line light rail has drawn new activity and development to the avenue. 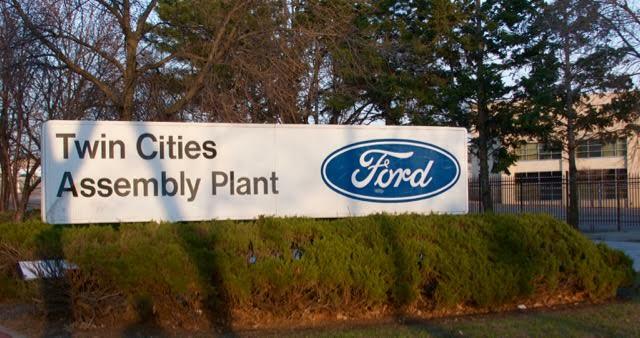 We just completed our TPT-Twin Cities PBS documentary about the history of the Twin Cities Ford Assembly Plant. When it opened in 1925, the plant was one of the most innovative auto assembly plants in the country. No other facility had its unique combination of hydroelectric power, on-site silica sand for glass manufacturing, and navigational river access. It was the largest Ford plant outside of Detroit and was considered by many to be the most beautiful industrial plant of its day. This film gives you the inside story about the plant’s role in WWII, the labor movement, the relentless pressure of the assembly line, and the evolution of the city. Highland District Council is our community partner for this production, which premiered on TPT-2 in January 2019. Watch it online and get more info at twincitiesfordplant.com. Do you have questions, ideas or stories to share?